50618 - just relieved the numbers weren't my fault lol! 50619....better get going.....have fun girls...see you tomorrow !! 50620..Bye Polly have a fun evening. so we don't lose all of our counting!! 50696 - so we go from that then - sounds good to me! i know i have forgotten to count several times actually, then sometimes i've caught it and edited before anyone seemed to notice!! must be out of practice! meanwhile my daughter is waiting on me,,,, so i better get moving! 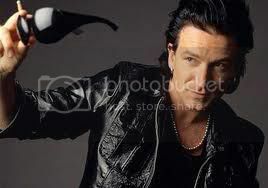 one last bono for the road?? Bye Nikki ...see you AH! 50698 - we are such bad counters lol! Ok dinners ready...Pizza, Jacket potatoes and bowl of salad....see you late on. glad to have shown you the way, girls! lol! of to cook now, see you all later. and off for 5 days starting tomorrow, nikki!! yeah!!! popped back in for a sec, daughter can't decide about what to do today, lol, so extra time! but looks like you've all gone?? well, i've plenty to do around here, after working a long stretch the house has fallen apart, must start putting it back together!! 50705 I'm back in, but just for a quick second . . . it's noon, so time for lunch! no cooking after all, love came home and had sushi with him, yummie!! !